Poptropica Universe Episode 9 – Deal or No Deal? Hilo everyone! This is Tough Spider. 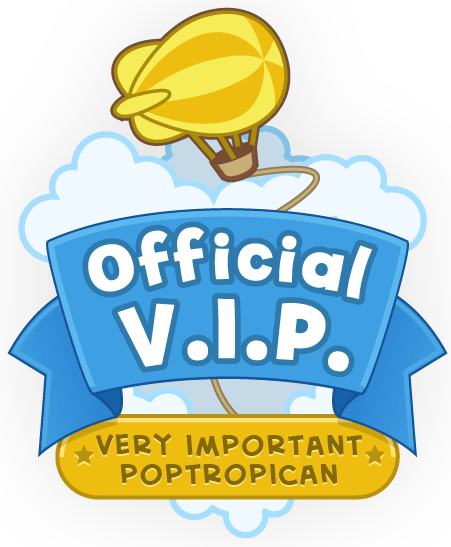 Some of you have probably already seen that the 9th episode of Poptropica Universe has been posted on the official website, but for those of you that haven’t, here it is! The helicopter’s propeller started spinning and the helicopter started to go up. “Oh no you don’t!” shouted Silver Wolf. She quickly got out her bow and arrow and shot at the helicopter. The arrow hit the engine with a satisfying “THUMP!” and the helicopter started to go down. “Nice work!” Slippery Icicle shouted as the helicopter crashed to the ground. I was pretty happy. I thought we had them. I thought we would finally get all of our answers, but these hopes were shattered just like the helicopter shattering as it crashed on the ground. Silver Wolf ran over to it and looked inside. “It’s empty,” she said, confused. I ran over to it, but just as Silver Wolf had said, no one was in it. “It’s like they just teleported away!” Slippery Icicle said. She was clearly frustrated, but I, on the other hand, was enraged. Another whirl of emotions hit me just as it had when the robo-Tough Spider killed Fearless Fox. Confused, sad, angry, annoyed, the list went on and on. I grabbed my sword and threw it at the helicopter, It hit the propeller and snapped in half. “Well, there goes your sword,” Spotted Dragon sighed. “Sticky Clown ripped us off!” Silver Wolf shouted angrily. “We better go buy a new sword then,” said Slippery Icicle. “There’s no way I’m walking up those stairs again!” I complained. “I got an idea!” said Spotted Dragon. She got out a few test tubes and then got out what looked like bleach. She mixed a bunch of chemicals together and added a fuse. She was making a bomb. “You wouldn’t think this would work,” she continued, “but it does!” She ran and put the bomb down near the helicopter, got out a match, and lit the fuse. There was a huge explosion. The pressure caused the fuel in the helicopter to explode as well. Smoke was everywhere. After the smoke cleared, we got up and saw a massive hole in the wall. I ran over and looked down through it. Of all things, our blimp was there! “It’s our blimp!” I shouted. She jumped through the hole and landed on top of the blimp. She carefully climbed down and slid down into the cockpit. “It’s time for you guys to follow suit!” she shouted to us from down below. “Are you crazy? !” I shouted, stepping back. “Do it!” screamed Slippery Icicle, as she pushed me through the hole. I looked down. I shouldn’t have. If I missed the blimp, I would surely fall to my death. I screamed. Heights aren’t exactly my thing. Time always slows down in a catastrophe, and I guess falling like that is a disaster, because it took years for me to finally land on the blimp and slide into the cockpit. But I made it, and once it was over, time snapped. In what felt like a matter of seconds, the rest of the gang finished the jump. “Ok, let’s go!” said Spotted Dragon. She grabbed control of the blimp and steered it towards Zomberry Island. The ride there was silent. Well, for a few seconds. After that, Silver Wolf started crying. The sky is supposedly blue because oxygen particles reflect blue light. But right then, I was sure that it was dyed blue from our tears. After a while we reached Zomberry. We slowly walked over to Sticky Clown’s store and opened the door. “Oi! I’m closed! Read the sign!” shouted Sticky Clown. We didn’t listen. We didn’t move a muscle. “HEY! DID YOU GUYS GO DEAF? !” he shouted. That did it. I broke. “HE’S DEEAAADDD!” I wailed before collapsing on the ground in tears. “Fearless Fox… got killed.” said Slippery Icicle. She suddenly joined me in my art of coloring the sky. I got up and asked him for a sword. He ran to the back and gave me a blue, twinkling sword. This was ridiculous. We all knew it. I walked up to him and just glared at him for a few seconds. That seemed to do the trick. I actually did have 500 credits in emergency money my Mom gave me once. But I didn’t want Sticky Clown to know that. “Okay, okay. I’ll give you the sword and this for 500 credits.” He held up a tiny glass bottle. “What is that?” Spotted Dragon asked, mystified. “Wh-where did you get that? !” Slippery Icicle asked. “Deal.” I said immediately, putting down my wallet on the table. ← Snapshot Champion of August! This is the first episode I’ve read in a while…. I’m kinda confused, but this is epic. 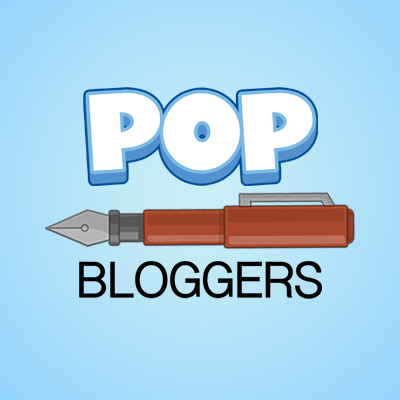 Umm, I have this blog, called Poptropica News Network (PNN 😆 )… I was wondering if I could put the first episode of Poptropica Universe up there, and link back to you for the rest?? I just caught up on a couple. And sure ill link it back to the official. Thank you, I do likely!!! I mean likey** stupid auto correct!! I love it! Once again, awesome work TS & FF! Yay! A new episode! Maybe with the immortality potion, they can use it to bring FF back to life! I only gave them a few drops.For a bowlful,you will need to….pay 1250 Credits. Wow, FF croaked and you still won’t give us a discount? -_- Your prices are outrageous dude. No.And my prices are outrageous.If they were,then immortal Poptropicans will be using the world as a battle ground. That’s it? I thought a bowlful would need to be WAAAY more expensive. If a few drops is supposed to cost 1,000, a bowl would probably be like 50,000, if not more. No,it’s half of a quarter of a quarter of a quarter of that.